Today we are thrilled to reveal the cover for the brand new novel by Laura Dockrill. And also share an exclusive extract with you! The cover has been illustrated by the iconic illustrator Laura Callaghan – isn’t it stunning?! 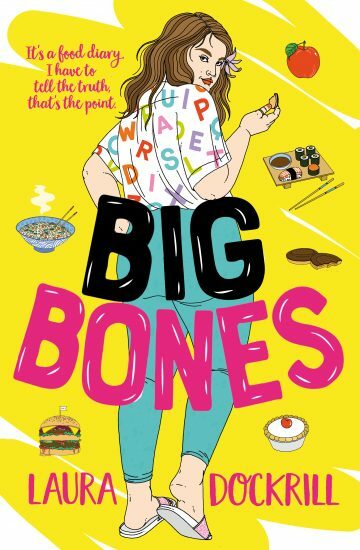 In Big Bones (published on 8th March 2018, also International Women’s Day), we meet Bluebelle, aka BB, aka Big Bones – the body-positive, sassy, sixteen-year-old star of this: her food-diary/life-story of one hot summer. Tuck in to the extract below for best mates belly laughs, boys and the best Bakewell tart!